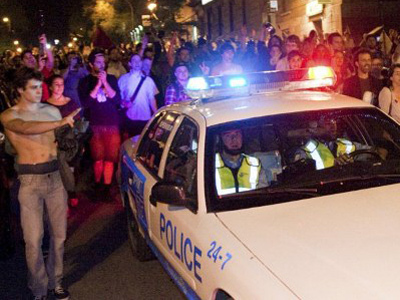 Police have rounded up more than 250 protesters participating in the annual march against police brutality in the francophone Canadian city of Montreal, Quebec. Friday’s march was declared illegal, as participants failed to disclose its itinerary. Twelve others were arrested for criminal activity, including possession of incendiary materials, assault on a police officer, mischief and making threats. Another 150 were fined over US$600 for participating in an illegal assembly, CBC reported. Police began making their first arrests before the march had even begun. After the march started, police stopped demonstrators and randomly searched their bags. Officers also used wedge formations to split the crowd into smaller groups. “There's as many police officers as there are protesters,” university student Dominique Cyr told CTV News. “In the beginning the police were very aggressive… It's a criminal act that the police are doing on the people and they must pay for their crimes." At least six people were injured during the rally, two police officers and four demonstrators. None of the injuries were life-threatening. Police officers were transported to a hospital, one of whom had two broken teeth. The march against police brutality is an annual event that had been taking place for the past 17 years to mark the International Day against Police Brutality. 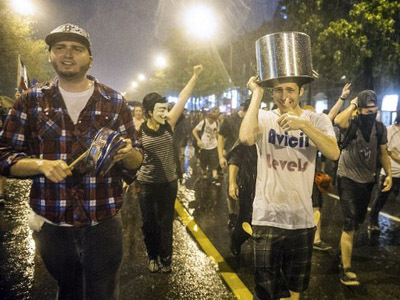 Historically, the demonstrations have ended in violence and mass arrests. 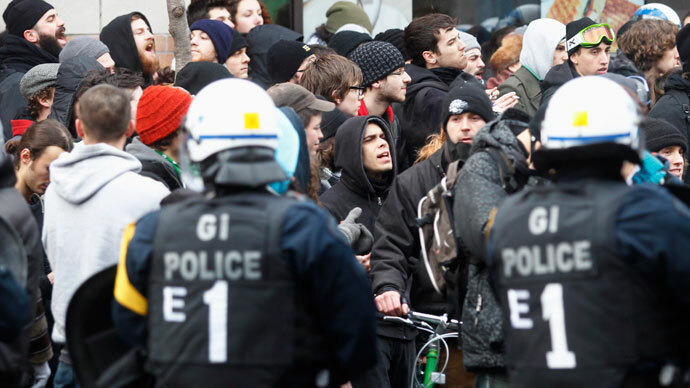 The 2012 rally coincided with student protests and turned violent, with 226 arrests taking place. 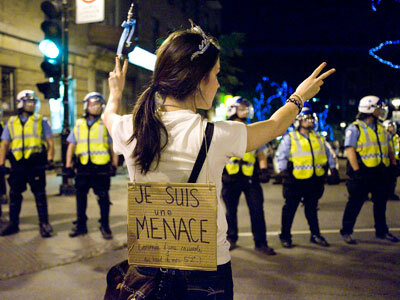 Montreal saw a surge in protests, violence and mass arrests last year as students demonstrated against the province's tuition hikes. The demonstrations resulted in tougher regulations for assembly.